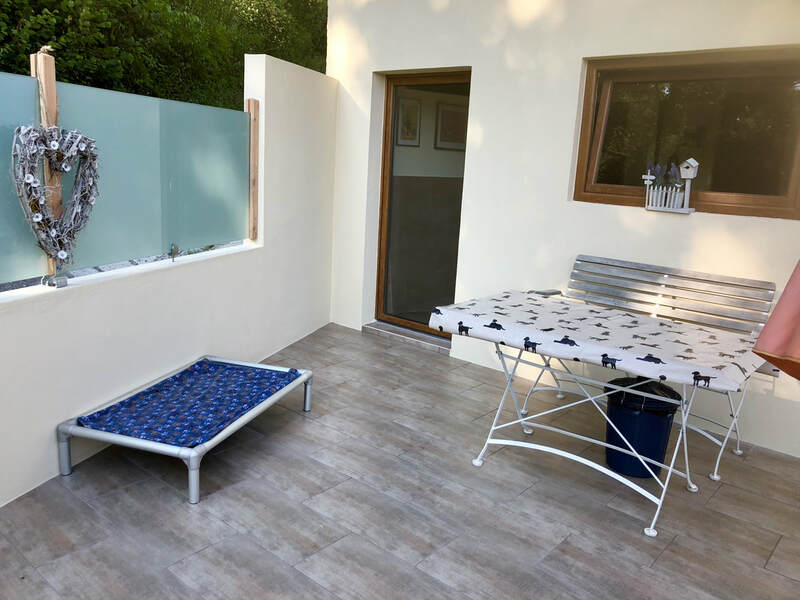 ​We offer a range of accommodation options to suit all dogs, great and small! Our 7 Mountain View suites are in a renovated barn over 2 floors. Each suite is 5 - 5.5 m2, purpose built and architect designed with underfloor heating, glass double doors, Kurunda™ raised beds, a shower area (see photo below left) and access to 2 large patio terraces (one per floor). Dogs also have access to our two gardens throughout the day. Our 2 huge Garden rooms are 10 & 11m2, fully heated and equipped very comfortably with access directly to the garden. Our decor is "home style" to reduce stress for boarders as much as possible. Dogs from the same household are welcome to share any suite. While all dogs may play together under supervision, they sleep and eat separately (unless from the same household). Specially mixed relaxing canine music (Through a Dog's Ear™) plays throughout the day and Adaptil™ diffusers are in sleep areas. Adaptil™ is a natural canine appeasing pherome known to comfort dogs in situations they might find stressful. We encourage you to bring bedding, treats and toys to help your pet feel at home. 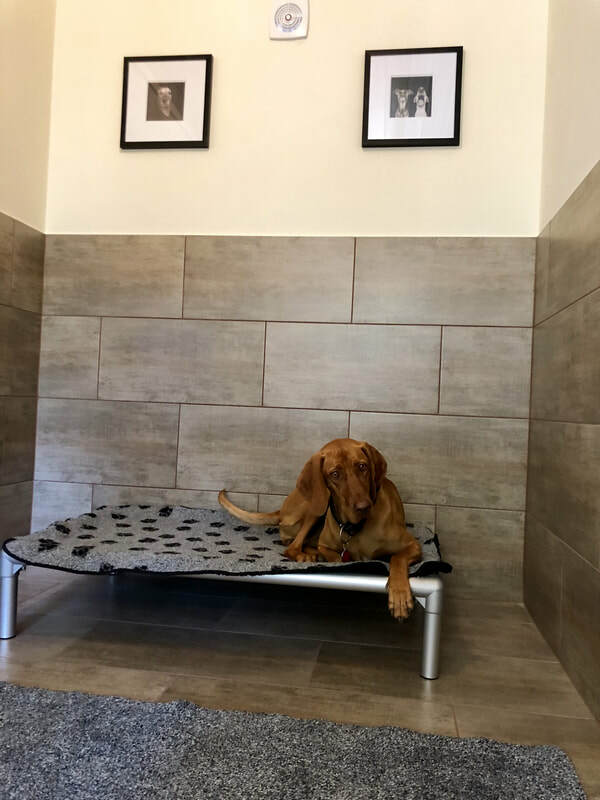 ​You are very welcome to visit with your dog in advance of booking a trial overnight stay. Please call Aileen (+41 79 596 7261) to make an appointment (Monday-Saturday) so we can spend quality time with you without distractions. phone aileen +41 79 5967261 to make an appointment for a look around! by prior appointment Monday -Saturday.